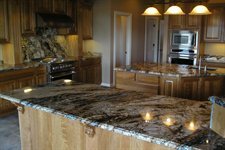 Links - Houston Granite and Flooring L.L.C. We have included the following links as a convenience to our customers and visitors. We take no responsibility for the content found on these sites, as we do not manage them. WhiteSites Builds advanced websites and web applications giving businesses more control over their website, which helps them save money. GHBA members do one thing--help people realize the American Dream of home ownership. The Association serves those members through education and advocacy. The Texas Association of Builders is dedicated to creating a positive business environment for the housing industry by addressing the housing issues of the people of Texas. The Sunbelt Builders Show is where you will find everything you need to position your business for the future. You will see cutting edge companies, explore best practices and discover business solutions. The things that you see and hear on the trade show floor and at the education sessions will transform your company. The National Association of Home Builders is a trade association that helps promote the policies that make housing a national priority. Since 1942, NAHB has been serving its members, the housing industry, and the public at large.